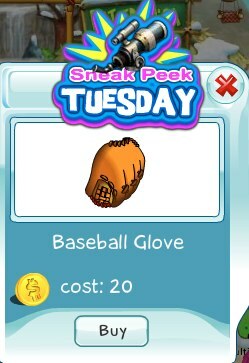 This week's Sneak Peek Tuesday features the Baseball Glove. Baseball spring training is just around corner, so now is the perfect time to get your glove. Get it only today before the sneak peek ends.